Run this Graphic Design Process checklist when you start a new project with a client to provide images or designs. 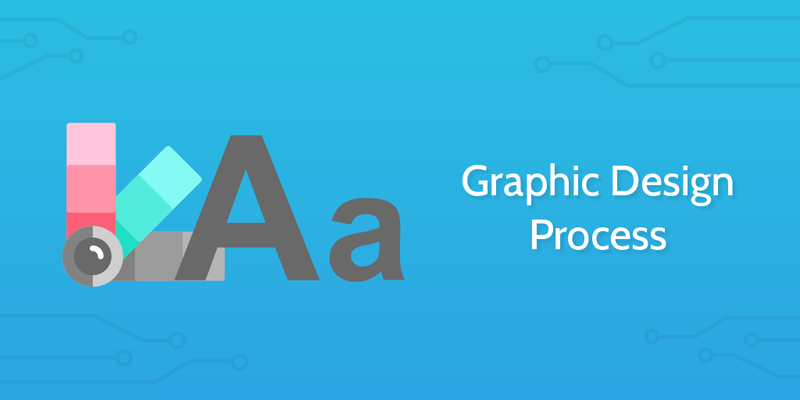 In this Graphic Design Process checklist, we're going to walk through the steps from meeting with a client in the ideation stage to delivering the images and designs the client requires. The specific use case in mind when formulating this process was a company which required some visual promotional materials to represent their brand in an upcoming marketing push. However, the checklist could alternatively be used as a UI checklist and could follow on from another design checklist of ours like the UX Design Process. You can edit this template and customize it to suit your specific needs. We'll provide a series of visual resources throughout the checklist to help give you inspiration. Use the form fields in each task to record your work and store the information gathered. All data entered into the form fields from every time this checklist is run can be seen in the template overview section. Watch this short video introduction below to get your juices flowing. Use this space to record important contact information for future reference. Your initial meeting with the client will define the rest of the project. This is your opportunity to explore the client's thoughts and expectations. This is also the moment where you need to determine deliverables and project scope. You can use the subchecklist below to help guide your meeting - asking the right questions about the design and the structure of the project. Use the form fields beneath to record the notes of this conversation. How has the client described the company's vision? What are the company's key goals? What are the client's products or services? What are their points of differentiation? What existing design materials do they have? What ideas does the client have about timeframes? What review processes will be in place? To understand how your design concepts are going to form, it is important to understand the client's market and industry. This article from Entrepreneur provides a detailed breakdown of where you should look when you start your market research. You can use the subchecklist below to help guide you through this research and understand the research in relation to your client's needs. Consider checking out the video below for some thoughts on conducting market research. Mind mapping is a useful technique for concepting and pulling together different ideas. We can use the mindmap to identify different approaches and to locate themes. You can review the mind mapping process of The Graphic Design School in this article here. They discuss their process from jotting first ideas to formulating design materials, looking at each step and consideration along the way. You can use the subchecklist provided to help inspire your mind mapping process. Once you've formulated the ideas you're going to explore, draft a series of potential directions the designs could take. You can do this simply with sketches which will provide you with concepts to show the client without taking too much time. Pick a few different versions to provide the client with options. Use the file upload below to save a copy of these sketches to the checklist, and use the email widget to send them to the client with your thoughts. When you have received feedback from the client, you can begin to formalize these ideas and professionalize them in your design software. These will be your first drafts of the final product and should give the client an opportunity to pick the final concept. Upload your drafts in the field below and send them to the client using the email widget. Now that the client has given you the directions for the final product based upon your previous work, you can finalize the designs. Use the subchecklist below to guide you through the steps to prepare for delivery. Pass your completed project to the client and ask for feedback. Gaining feedback from the client will help you improve your processes for the future, resulting in greater customer satisfaction. Use the form fields below to make sure the materials are all sent and record the feedback for the project. Congratulations on a successful design project. The designer can use the Process Street invoice generator template to send their invoice to the client. This invoice can be sent automatically from this checklist by clicking to complete the task. You can use Zapier to connect this task in this template to your invoice so that you can automate the sending process. 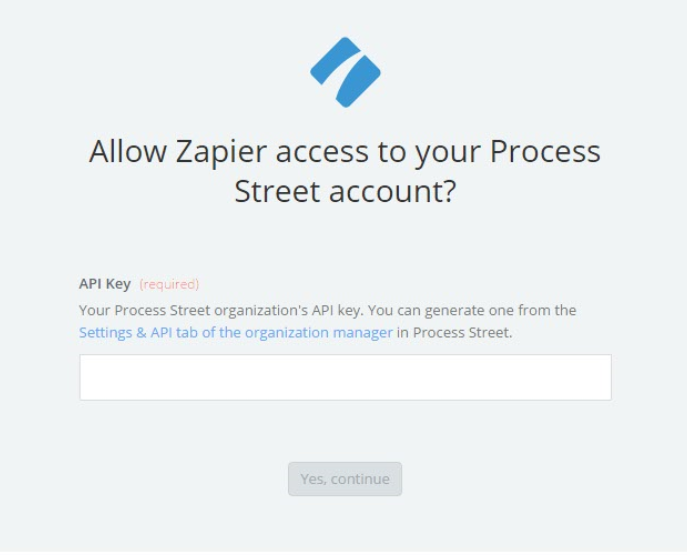 In Zapier, select "Make a Zap" and search for Process Street. It will prompt you to create a trigger - select "New Task Checked". It should then prompt you to connect your Process Street account to your Zapier one. You simply follow the link Settings & API tab of the organization manager on the pop-up. Follow the steps provided by Zapier and it should connect the two accounts together. From here it will let you search for the template you want to run the Zap from, and choose the task you want to hook it up to. After you've selected those options you can test that step and your trigger should be set. Next, you can create the action to be initiated by your trigger. You can use a third party system like WebMerge or you can use Zapier's built-in email service to generate HTML emails. Either of these solutions can be used to generate and send your invoice. To read more about these steps and how to create the invoice check out this article.